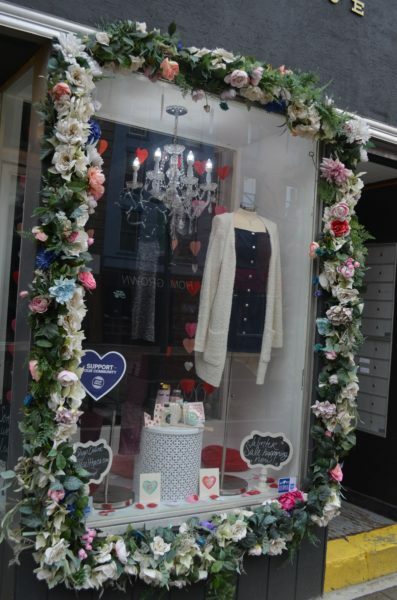 For Ithaca locals, students, and visitors who are looking for fresh, handpicked jewelry, clothing and accessories – make sure to make a visit to Indigo Rose Boutique on the Commons Pedestrian Mall. As you look through the carefully curated selection, you most certainly will be greeted by the smiling face of Crystal Ward, owner of the boutique. Crystal moved here from Cocoa Beach, Florida in 2010 as her husband is from the region. They have settled in, as they love raising their two children in Ithaca. Crystal was the Manager of Linsey Layne Boutique since late 2016, but in February 2018 Crystal became the owner and made it what it is today – Indigo Rose Boutique. This is Crystal’s first experience as a store owner, but she has had years of previous retail and buying experience. Storefront of Crystal Ward’s Boutique, Indigo Rose. Saturday, February 9th, will mark the 1 year anniversary of Indigo Rose Boutique. While it has been a whirlwind of a year for Crystal, she is very proud of what she has been able to accomplish. 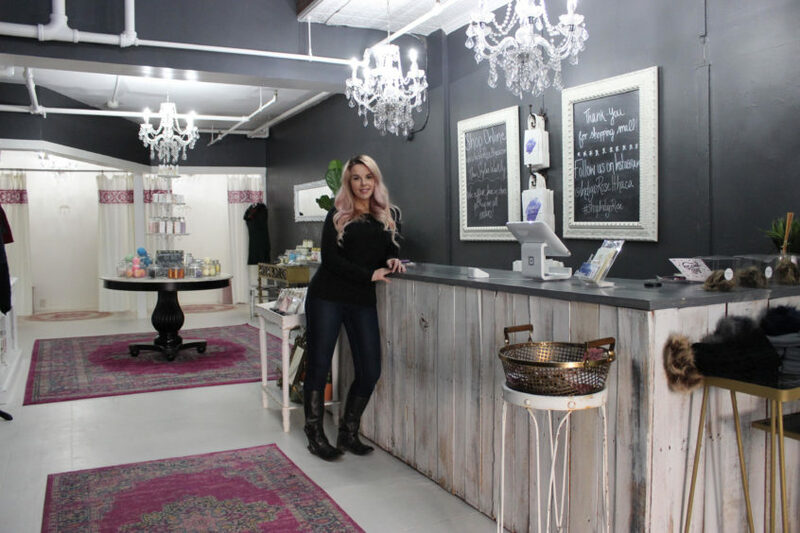 “What I am most proud of at Indigo Rose is taking over from a previous boutique, while changing things up pretty significantly, and establishing a loyal customer base in under a year,” Crystal says. Indigo Rose is notorious for it’s unique style, led by the buying and eye of Crystal, and customers frequently say that is is where they head when they need to freshen up their closet or wardrobe. Crystal loves that she can provide a unique selection. “I’m pretty passionate about what we have in the boutique because I do all of the ordering, so it’s easy for me to pull together outfits for others and gift ideas. We have a little bit of everything for everyone that you won’t find everywhere,” Crystal adds. Located on the Commons pedestrian mall, Crystal thrives on being in the middle of the Downtown community. “I really love the connections that I have made with other small businesses here. I make a point to shop locally for as much as I possibly can and I like that Downtown Ithaca offers a little bit of everything,” Crystal said. When Crystal isn’t in the boutique, she is spending time with her family. Crystal and her husband Brian have two kids, ages 5 and 8. “Quite a few of our customers have seen my kiddos at the boutique, I will bring them in from time to time, which they tend to enjoy, especially when ice cream from Sweet Melissa’s is the reward,” says Crystal. Crystal prides herself on establishing great relationships with her customers, and it shows. If you looking for a fresh addition to your wardrobe or that new unique accessory, you should certainly go in and introduce yourself. To learn more about Crystal and Indigo Rose Boutique, visit the store at 109A East State Street on the Commons and follow the shop on instagram @indigoroseithaca. Make sure to pop in and help celebrate the boutique’s 1 year anniversary on Saturday, February 9 with 15% off and a free gift with purchase.